Melete produces results. Nobody can deny that. But the results have a price, a price that falls heavily on just a few students. Readers of fairy-tales can see this one coming. The Fair Folk who founded Melete demand a tithe, to be paid once every seven years. That tithe is the brightest star in every seventh student cohort. The tribute will spend years with the Faeries before returning to our world. When they return, it is with gifts some would die to win. Sounds good? But not all of the tributes return. The Faerie realm is alien, scarcely hospitable to humans. The experience is never less than trying and for some, it can be never-ending or even fatal. Marin makes a brief foray into Faerie and discovered that she falls into the second class. If she is chosen and she accepts the invitation, it will be the last thing she does in our world. Marin is ambitious enough to ignore the discovery. She’s sure she can beat the odds. Her fay boyfriend tries to warn her, as does Imogen … but even if Marin were inclined to listen (which she isn’t) the Fair Folk’s have woven a spell that blunts such warnings. If Imogen wants her sister to live, her only course of action seems to be to take Marin’s place as the prize student. Imogen must steal from Marin the prize Marin so dearly wants, destroying the relationship to save her sister. The Faeries are certainly jerks; they have set up a game that they always win. But they are not even close to being the villains of the book. That honour falls to the parents of the Melete students. We meet absentee dads and spectacularly abusive mothers. Imogen and Marin’s mother is one of the worst. She has spent decades doing her best to set the two sisters against each other, praising one, denigrating the other. Then switching targets. Both sisters have only tenuous faith in their own talents. Mom does not want confident daughters, or daughters who support each other; they are harder to manipulate. Secondary character Helena has it even worse: she has no sister, she was pressured to perform, and (alas!) has no exceptional talent in the field her mother chose for her. Her mother is disappointed in the daughter who does not shine and lets Helena know that she has failed. Utterly. The book is written beautifully and the characters, and their emotions, ring true … but the novel may be too intense for some readers. OTOH, this book may be just the thing for people who had spectacularly awful parents. People for whom making a bad deal with inhuman things with pretty faces might be a better option than what they won in the birth lottery. 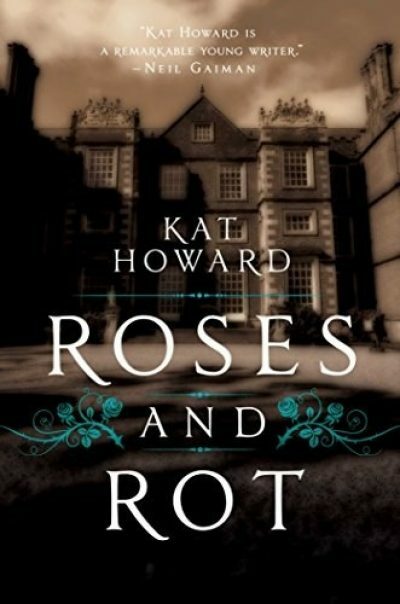 Roses and Rot is available here (Amazon) and here (Chapters-Indigo).